Grow your YouTube channel with the help of this free guide. You've spent months perfecting the script, storyboarding, finding the right talent, shooting, and editing. The end result? A blockbuster brand or product video. With all that time invested, you can't stop at just embedding the video on a homepage or sharing it on social media and hoping someone watches. While great content is bound to be found, it's also important to be proactive about gaining the attention of and educating prospects and those unfamiliar with your brand. Running a series of YouTube ads is one way to make sure more of your target audience finds the video content you've produced. And with new formats and tracking capabilities, you can also use this information to report on its ROI. 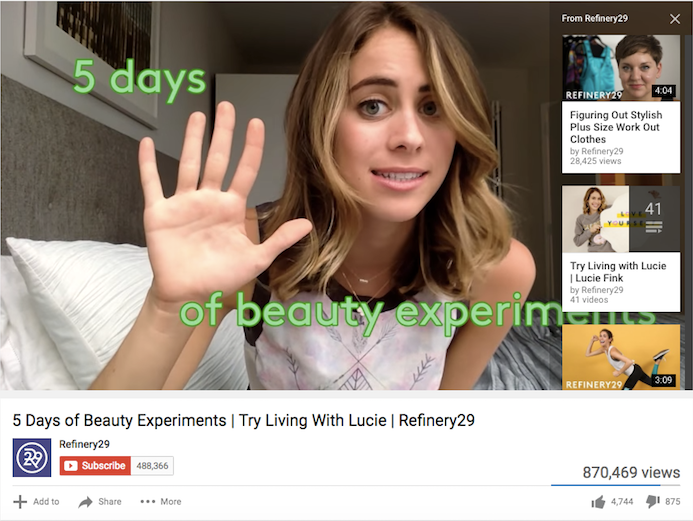 The thing is, advertising on YouTube is very different from running a PPC or paid social campaign. There are specific creative constraints and a ton of options for this platform, and you need a base knowledge before you even scope out your next video project to make the most of the paid possibilities. In January 2017, Google announced it would make changes to AdWords to allow advertisers to reach more viewers on YouTube -- especially across mobile devices, where 50% of YouTube views take place. Among the changes it rolled out, possibly the biggest announcement was that advertisers will soon be able to target viewers based on their Google search history, in addition to their viewing behaviors YouTube was already targeting. Marketers can now target ads at people who recently searched for a certain product or service to target the video ads they’ll be served on the platform. If the content of a video ad is closely related to a search the viewer has been researching, they might be more likely to watch the entire ad or click through the ad to the website. Keywords are relatively less expensive to target on YouTube than in traditional Google Search: Views cost an average of $0.06 per click on YouTube, compared to the average Google Search cost per click, which is estimated to be between $1-2. 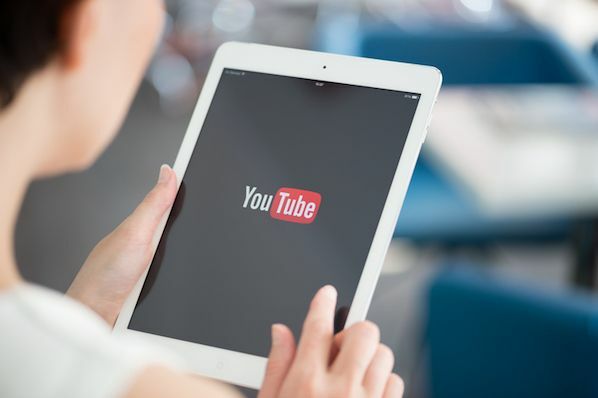 When YouTube targeting includes search history, it may be a more cost-effective way to target your audience with a more engaging form of content -- video. There are three key types of video ads in which you can invest on YouTube: TrueView, Preroll, and Bumpers. 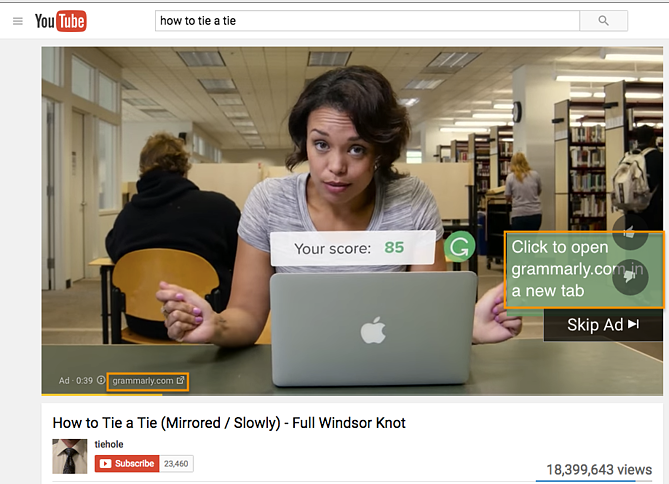 TrueView ads are the standard video ad type on YouTube. Advertisers only pay for TrueView ads when viewers watch or interact with their ad (for example, by clicking on a call-to-action), and videos can be easily customized to share a variety of content. Advertisers only pay when a user watches the ad for at least 30 seconds or until the end of the video or if the viewer takes an action, such as clicking on a call-to-action. YouTube requires that skippable TrueView ads be between 12 seconds and 6 minutes in length, and that non-skippable TrueView ads be 15-20 seconds in length. 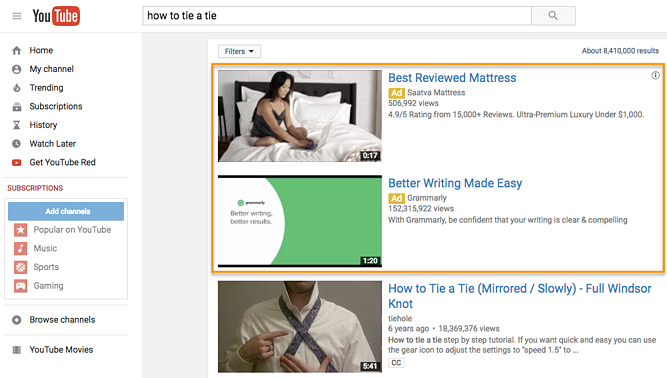 Video discovery YouTube ads show up on the YouTube homepage, search results pages, and as related videos on YouTube video watch pages. Once a user clicks on the ad, the destination video page features a spot on the right-hand column where a companion banner display ad will appear. TrueView in-stream ads play before someone watches the video they’ve selected on YouTube. Viewers sometimes have the option to skip the ad after watching it for five seconds. You can also make them play anywhere in the Google Display Network (GDN) -- or sites that purchased Google video ad space. In-stream ads let marketers customize video ads with different CTAs and overlay text, as highlighted in the skippable in-stream ad example below from Grammarly. TrueView video campaigns can include people, dialogue, and music that was retrieved with permission -- or is considered royalty-free. However, it's best not to run a standard promotional commercial. Because these videos can be skipped, you need to give your audience a reason to keep watching, and product plugs historically don't get the views you might expect. Instead, tell a story with the time you have in this video. People love seeing case studies of those who faced a struggle that they can empathize with. It's a source of entertainment that makes your brand memorable and less tempting to skip. With TrueView ads, advertisers can gain a ton of information about the performance of their ads for optimization and testing purposes. 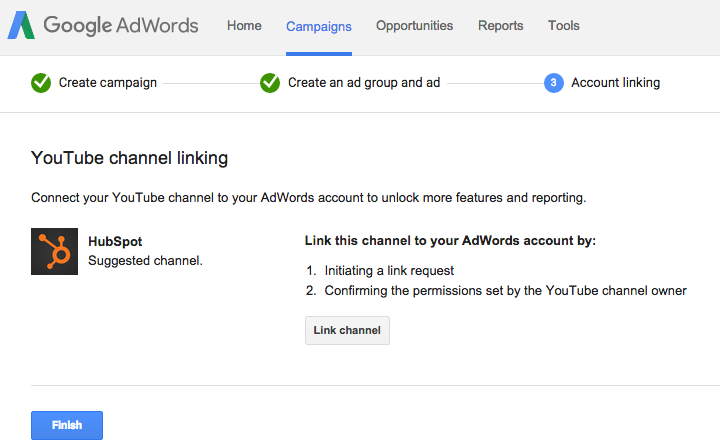 Using AdWords, YouTube account managers can collect data on an ad's completed views, partial views, if the video drives channel subscriptions, clickthrough rates on CTAs, views sourced from a user sharing the content, and views on the brand's other content that can be attributed to a person initially viewing a video ad. These actions help advertisers better understand the full value of their video ad spend and where to allocate budget to increase results. Some in-stream ads are non-skippable and can play before, mid-roll, or after the main video. These are called Preroll ads, and they can be 15 to 20 seconds in duration. There are also non-skippable, mid-roll video ads, which appear midway through a YouTube video that's 10 minutes or longer in length. Preroll ads give you just as much freedom as TrueView ads in their allotted content. You can include people, dialogue, audio, and more elements that you find best represent your brand in 15 to 20 seconds. Because preroll ads can't be skipped, these videos are best created with a call-to-action (CTA) so you can optimize the attention you do have from the viewer. In other words, encourage viewers to click on your ad and receive something in return. Perhaps you've released a new product or promoting a major event this season and are looking for signups -- use this preroll ad to get those clicks. Keep in mind YouTube sells Preroll video space on a pay-per-click (PPC) basis. Make the click worth it. Bumpers are the third and shortest type of YouTube video ad available to you. At just six seconds per bumper, these ad spots play before a viewer's chosen video. Bumper video ads obviously can't tell a good-enough story in just six seconds, but they make terrific complements to larger video campaigns on a new product launch or event. Just be sure to use this six seconds wisely, and include only the components of your brand you want your audience to remember. Once you’ve created a marketing video you want to advertise on YouTube, it’s time to create your video ad campaign. (If you haven’t made a video yet, here’s how to get started with Animoto or Wistia, along with a few great examples.) Then, upload your video to YouTube. Now, you're ready to set up your advertising campaign. First, go to your Google AdWords account to set up your campaign. Tap the drop-down menu on the right-hand side of the red "+ Campaign" button on your Google AdWords homepage and select "video." Enter a name for your campaign, and make sure Video has been chosen from the Type drop-down menu. Select "In-stream or video discovery ads" to ensure your video ad will be in TrueView format (in the style of the examples outlined above). Set your budget per day. You can also select a delivery method -- either the standard delivery, which shows ads evenly during the day, or accelerated delivery, which drives views as quickly as possible. The latter would be useful if you want to capitalize on a trend or news item relevant to your brand's video. Decide where you want your ad to appear. YouTube Search: Your video ad will appear in results for searches and will appear on the YouTube home page, channel pages, and video pages. 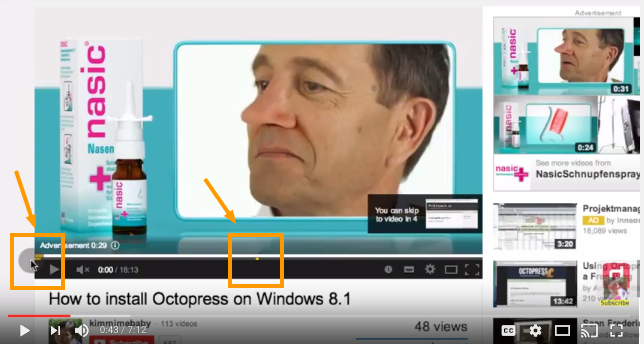 YouTube Videos: This runs TrueView ads that can appear in-display ads or in-stream ads. 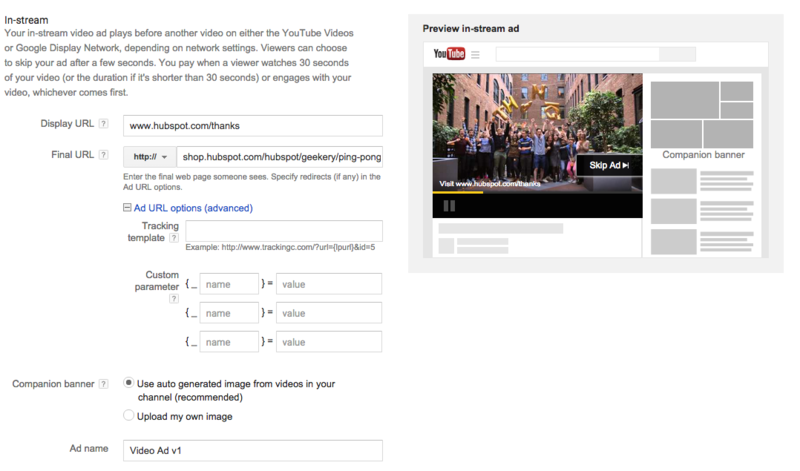 With this option, you can choose for your video ad to appear before or around videos shown across the Google Display Network. You should create separate campaigns for YouTube Search and YouTube Video as this will help you to better track performance metrics. These ads are served to people performing very different activities and require a different amount of commitment from the viewer, so it's best to monitor performance separately. Define the location of users whom you want the ad to be shown to. You can also exclude certain locations. 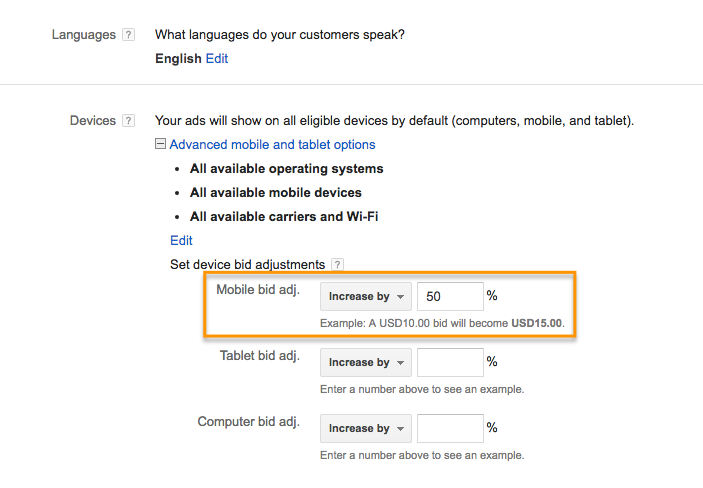 AdWords will let you specify the operating system, device, and carrier for more advanced targeting. This is especially useful for mobile app ads, and there's an option to increase or decrease your bid based on if the video ad is shown to someone on a mobile device. 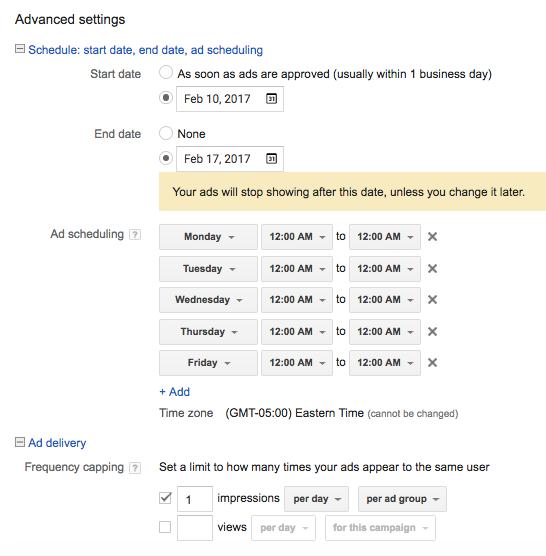 With the advanced settings section, you can set begin and end dates for your campaign, create a custom schedule for when your video ad should be shown, and limit the daily impressions and views for users. This all helps you to get the most return for your ad spend. Name your ad group, and then insert the YouTube link for the video you would like to run the ad for. You will then choose whether you want this to run as an in-stream ad or an in-display ad. For in-display, you'll need to include a title and short description, which is entered on two separate lines. Note: Titles are limited to 25 characters, and the description lines are limited to 35 characters each. 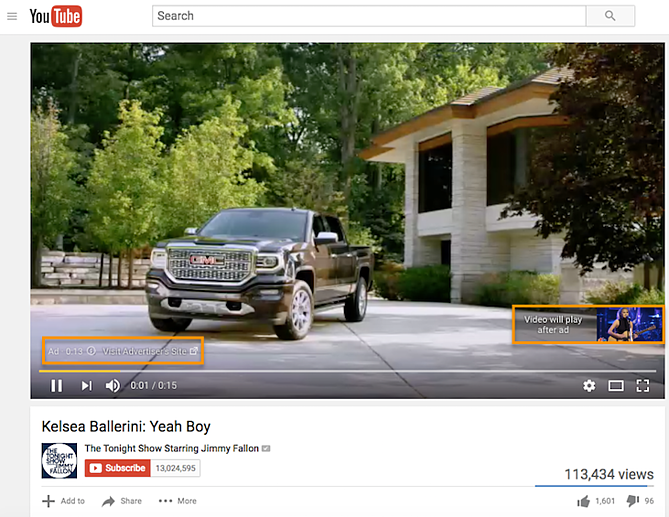 In-stream ads provide you with the option to overlap a display URL on top of the video. You should use a vanity URL that directs to another final URL to make it more memorable. You can include advanced URL tracking options. In addition, a companion banner made from images from your video will appear on the right side of the video ad. You'll then determine the max price you will pay for each view, which you can adjust to increase the number of projected views your video may receive. Finally, you can further define the audience you would like the video to be shown -- options include gender, age, and parental status. You can also target individuals by their interests, such as beauty mavens, cooking enthusiasts, horror movie fans, etc. Try running multiple campaigns to target different groups of users to discover who is most engaged, rather than including everyone you want to target in one campaign. 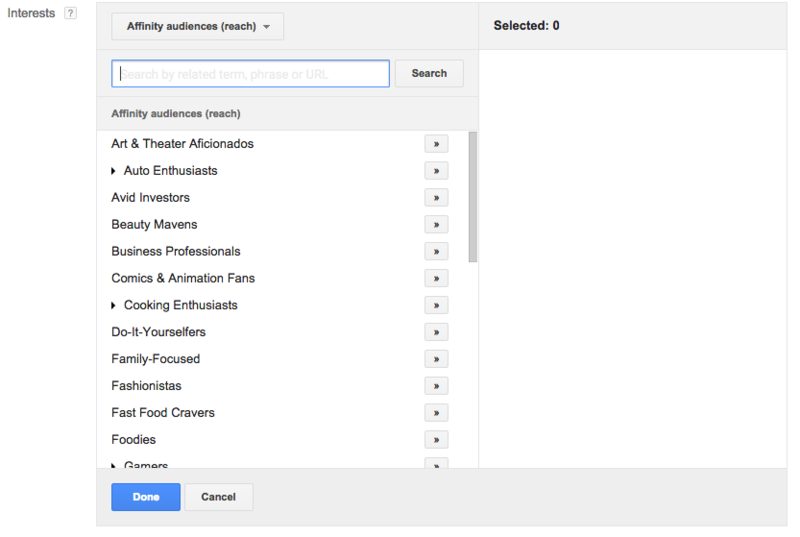 You can also target individuals by keywords, topics, or websites where you would like your video ad to appear. Keyword targeting with in-display ads can be a powerful tool for finding individuals who are looking for a visual answer to a question. Be sure to do your research, and try testing out different groups of keywords to see which leads to more views, clicks, or conversions. 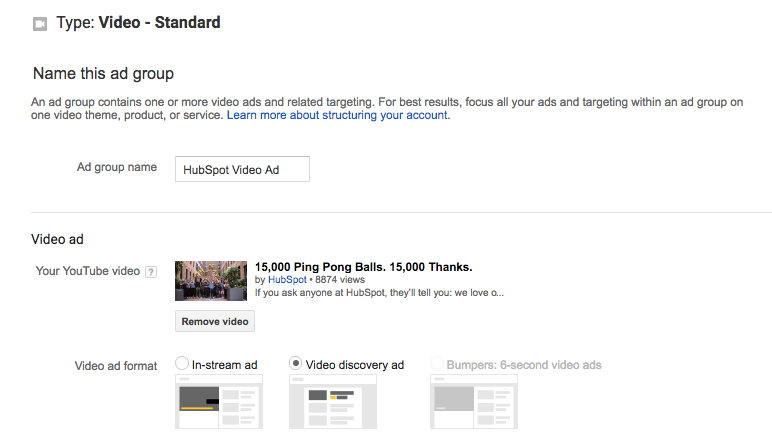 Additionally, you can use AdWords video ads to remarket to people who have been in contact with your brand already. This can help you to re-engage those who are already familiar with your brand. 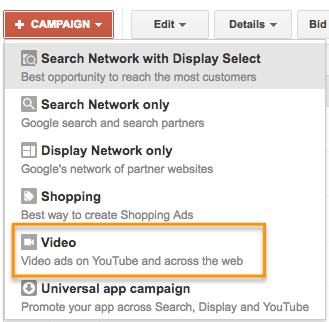 You should link your AdWords account to the YouTube channel where the video is hosted if you haven't already. You can also click "finish" to begin running your video ad campaign. Launching a video ad campaign is a great step, but there are some things you should set up prior to starting to pay for views to make the most of your budget and to see the highest return for your client. 1. Define your metrics and goals. When analyzing the results, there are four main categories of metrics you can track for each video. These are located under the "column" drop-down in your campaigns interface. Under the "views" category, you can better understand what percentage of the ad people viewed and understand how the ad drove earned views or views on your brand's other videos. This category can be used to track likes and shares for each video ad. The view rate should signal if the creative and message are interesting or entertaining enough for people to watch the ad. By increasing your view-through rate (VTR), you will lower your cost per view. Conversions will help you better understand if your ad is driving leads and returning a high ROI for your brand. 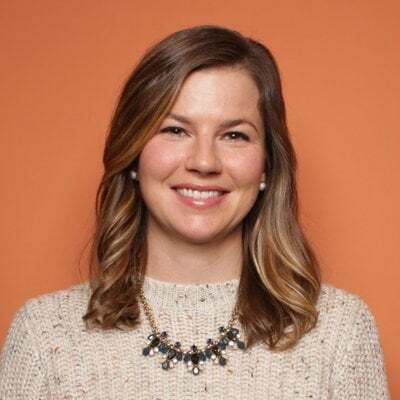 Depending on the goals for the brand, you should determine a few goals based on these metrics and formalize a plan for optimizing creative and trying different targeting criteria to improve results. Your goals should also determine the type of content you will feature in the ad -- some metrics are better for branding goals and others will drive leads and conversions. 2. Track low performing placements. If you're running in-display ads that will appear across the Google Display Network, you can review where the ad has appeared in by navigating to Video Targeting > Placements > Where ads were shown > Display network from your Google AdWords Campaigns dashboard. Review this list to see if any particular sites are contributing to poor performance for your desired metrics. Exclude these sites from your ad campaign moving forward to increase your average CPV. 3. Use a custom thumbnail image. Design or use a high-quality still image from the video to entice a viewer to click on your video. Remember, this image needs to be legible by users on different devices, including mobile. If your image contains a person, make sure he or she is looking into the camera. If you are featuring a product, make sure the background isn't distracting. 4. Drive people to buy with cards. 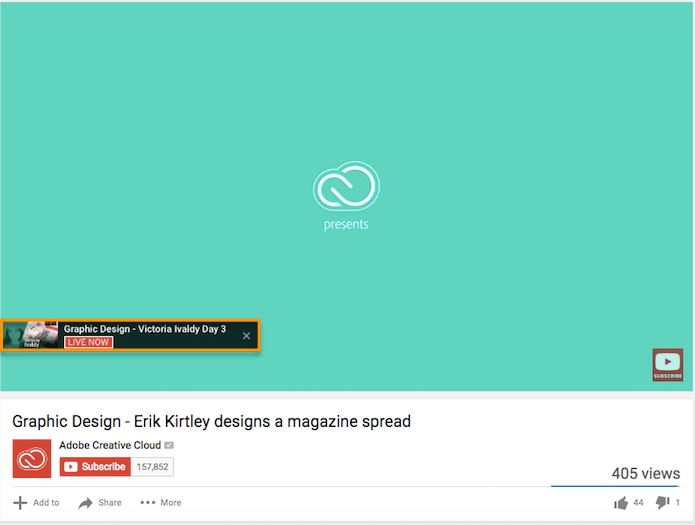 A YouTube card is teased with a small "i" symbol, which the viewer can click to expand. You can time this appearance so only users engaged with the video and content will see the notification. With cards, you can feature a product related to or featured in the video to drive product purchases. You can also use cards to drive fundraising donations, traffic to a URL, or traffic to other videos as shown in the example below from Refinery29. Each format will allow you to customize the card with text, images, and other options. 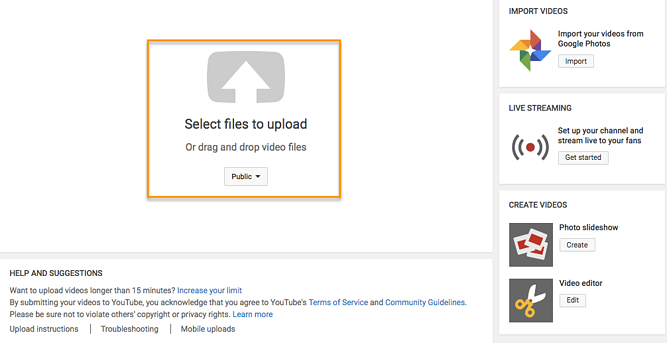 When promoting a video on YouTube, you can include call-to-action overlays that link to a URL. You could link to a landing page, product page, information page, career page ... whatever you'd like. You could also send people to a favorable report or interview featuring the brand. 6. Create a YouTube end slate. Create an end screen to drive subscribers to your channel, promote your social networks, or increase interest in your brand. If someone has watched a video until the end, it's a good sign they enjoy your content and might be interested in subscribing to your channel for future updates. 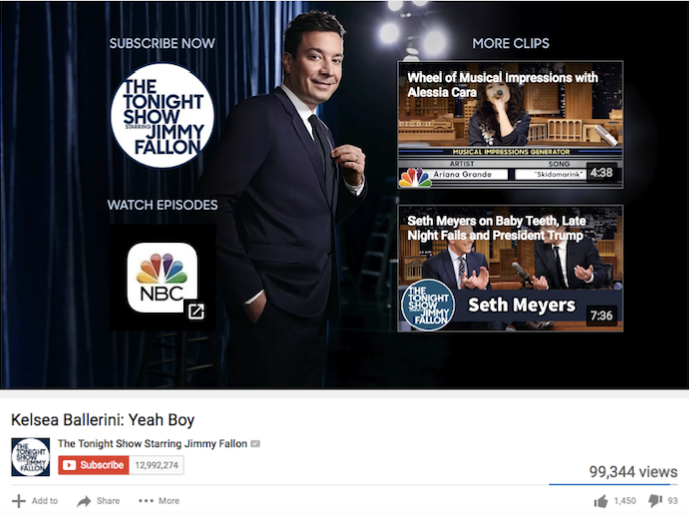 The Tonight Show Starring Jimmy Fallon's end slate uses this screen to drive subscribers and social media fans while also highlighting other interesting topics its host has featured. Once you build the image, you will be able to annotate the end screen in YouTube's video editor. If you are running a campaign for a longer period of time and want to only attract new users to a brand, consider creating a list of people who your ad will not be shown to. When viewing your AdWords Campaign screen, select "Shared library" on the lower left sidebar. 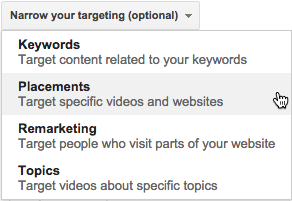 Then select "Video remarketing" and "+ Remarketing List". You can stretch your campaign budget and target only unique users by selecting to not show your video ad to someone who has previously viewed the specific video, who has visited your YouTube channel, or shared, liked, or commented on any of your videos on your channel. 8. Use close captioning to cater to viewer's needs and wants. This tip applies to all YouTube videos -- but it's a general best practice that's not followed by many brands. Include a quality video transcription you've generated and approved. Only user-uploaded transcriptions are indexed by Google because YouTube's automatic captioning can be less than reliable. Depending on your target audience, you may also want to include transcriptions in various other languages. You can also offer users the option to download or visit a site page with the full transcription in your video description. Sometimes, your ad will be seen by people who have no interest in your product. Encourage them to skip the ad if the content isn't relevant so you don't have to pay for the view and they don't waste their time watching irrelevant advertising. 10. Consider making your ad longer. When it comes to TrueView ads, if the ad is under 30 seconds, you pay only if a viewer watches until the end. If the ad is longer than 30 seconds, you pay if the viewer watches it for at least 30 seconds. In both cases, you pay if the viewer interacts with your ad before it's over. Consider this when you are coming up with ideas for content for the ad. You may want to put messaging at a certain point so uninterested viewers can skip the ad, or you might provide special offers towards the end of the video. We’ve told you before: Video content is a must-have part of your content strategy. This is even truer now that YouTube lets marketers target users based on their search histories. YouTube advertising is more targeted than ever, and it’s less competitive real estate than the world of Google Search because video content is newer to the content scene and less popular than blog posts. Stay tuned for more from us about how to make great video ads for YouTube and social media, and where we think YouTube marketing is headed next.